In terms of blogging, 2016 has been a truly wonderful year. In September, we celebrated Shoes and Glitter's 1 year blogiversary! It's weird to think that I've only been blogging for over a year - somehow, it feels like much longer. When I first posted on this blog exactly fifteen months ago, I didn't expect myself to stick to it for more than a few weeks. I would always look up to fellow bloggers (I still do) and think 'Wow, I could never achieve this!'. Over a year later, and I'm enjoying blogging more than ever! It's something that I look forward to doing every single day, and that makes me feel happy, excited and fulfilled. I started 2016 with under 300 bloglovin' and just over 1000 Twitter friends - I'm happy to say that these numbers are now at over 800 and 3300! Of course, blogging isn't all about the stats, but I'm still beyond grateful for each and every single one of you who comes here to read my random beauty ramblings! 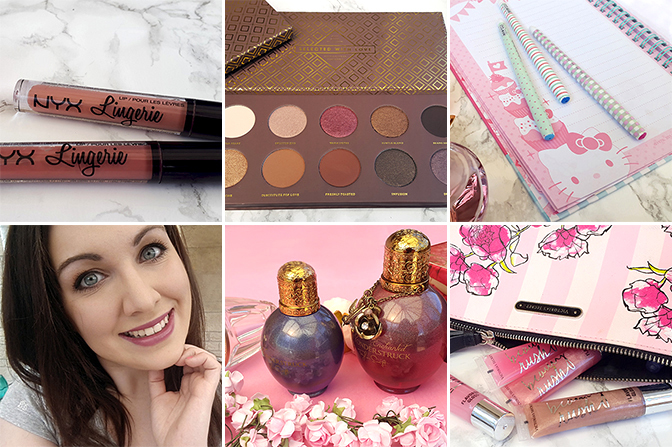 My main blogging highlights of 2016 include setting up a new blog layout, finally starting an Instagram account (I'm not really much of a social media person, which is why it took me over a year to join Instagram!) and of course, my own YouTube channel! And yes, I know that I only have two videos so far, but I promise you that I have not given up on it! Filming and editing takes a lot more effort than I initially expected, but I'd very much like to start incorporating videos into my posts more regularly. This is just one of my many, many goals for 2017! There is so much more I want to do, so much more I'd like to achieve. Blogging is always a learning curve, whether you've been doing it for five weeks or five years. I hope to keep on making Shoes and Glitter better and better, and I want to thank you all for supporting me on this exciting journey. I hope that you stick around! I also wanted to take this opportunity to ask you, lovelies - what sort of content would you like to see more often? Is there anything you think I could do to make my blog better? I'd really welcome your thoughts and feedback! Most viewed post: NYX Lip Lingerie lipstick review. This post has three times the amount of pageviews as my second most read article. Whilst I don't think that this is my best review ever, I'm happy to see that people seem to enjoy it! Favourite product review: Zoeva Cocoa Blend palette review. This year has been full of amazing makeup discoveries (although I don't think that my wallet really appreciates that! ), and this little palette is definitely one of my all-time favourites! Favourite series: Blogging Tips for Beginners (four parts). I'm very proud of this, as it was the first blogging series that I've managed to complete. This little series of posts includes tips on writing reviews, growing your audience and budget photography! Favourite random post: The £1 face! The post where I did my makeup using £1 products only - it was a fun experience, but not one I'd like to repeat again! Best perfume post: My guide to celebrity perfumes + collection (two parts). 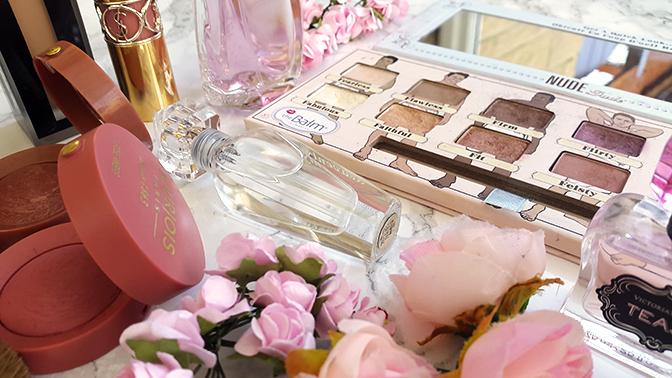 Perfume posts are my favourite kind to write, and this is one of the most viewed ones on the blog! Favourite haul: Victoria's Secret beauty haul. Victoria's Secret is my happy place, and this was actually one of the very first beauty hauls I ever did! 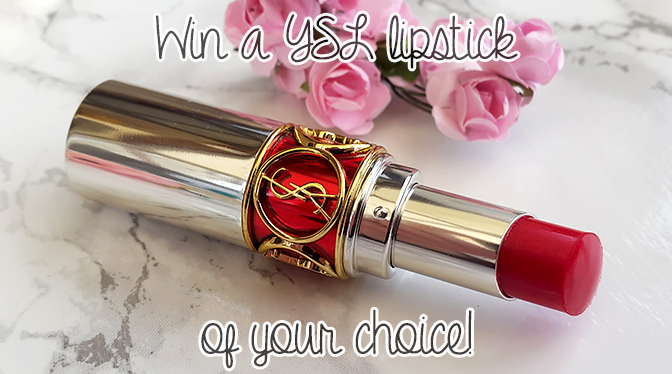 To celebrate the end of a wonderful blogging year, I am giving away one Yves Saint Laurent Rouge Volupte lipstick in a shade of your choice! 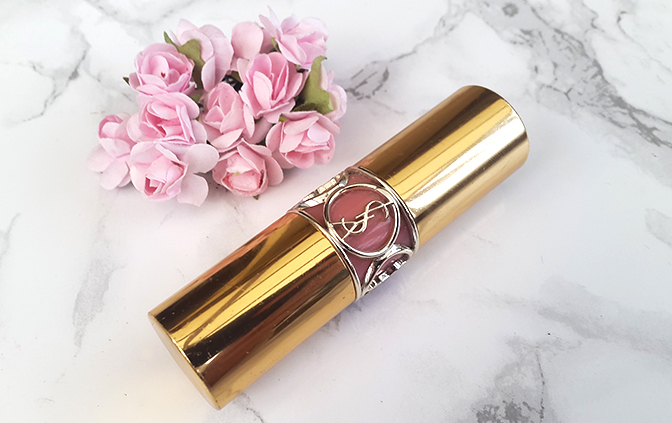 Rogue Volupte is actually my favourite range of lipsticks of all time, which is why I decided to share one with you, lovelies! The formula is lightweight, moisturising, and there are some truly gorgeous colours to choose from. You will be able to pick one of the 37+ shades available on the Yves Saint Laurent website! ♥ The giveaway will run from 17th December 2016 to 15th January 2017. The winner will be announced the following day in this post, as well as on my Twitter. ♥ I will contact the winner straight after announcing the results (via email and Twitter, if available). The winner must respond within 48 hours, or they will lose the prize, and a new winner will be selected. ♥ This giveaway is open worldwide. However, please note that depending on your country, you may incur customs charges. That payment would be at your discretion, and failure to do so will result in you losing the prize. For additional chances to win, you can also follow me on Twitter and Instagram, and subscribe to my YouTube channel. This is completely optional, but will give you extra entries and more chances to win!